The Cecchetti International Classical Ballet 2014 Competition took place between August 7-9, 2014. Richmond is a lovely and historical city located within a few hours of Washington, DC. Classes were located at the professional studios of the Richmond Ballet, with performances held at the beautiful Carpenter Theatre at Richmond Center Stage. 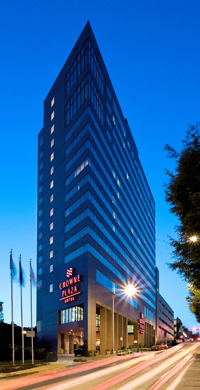 All participants stayed at the Crowne Plaza Richmond Downtown Hotel located within a very short walk of both locations. 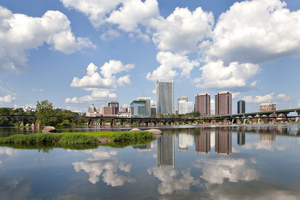 Known for its history, Richmond is the South’s creative centre and is located just a few hours from Washington DC. Within the newly designated Arts District, festivals and events are held year-round. There is always something exciting to explore. Choose from performances at CenterStage, a local theatre company, one of the area’s music venues such as The National, or relax to the sounds of the Richmond Symphony Orchestra. Better yet, enjoy the Richmond Ballet, who recently showcased their expertise in London, England. Be sure to pack walking shoes so you can enjoy some of the city’s walking and hiking trails along James River, historic canals, or the Richmond Slave Trail. Remember to bring your appetite to feast at one of the area’s amazing restaurants in neighbourhoods that showcase the city’s varied architecture. The Cecchetti International Classical Ballet 2014 Competition performances will take place at the Richmond CenterStage. It is the region’s new performing arts complex located in the heart of downtown Richmond. This 179,000-square foot facility had a successful Grand Opening in 2009 that showcased ten local groups in front of a sell-out crowd. The cornerstone of the Grace Street performing arts complex is the fully renovated, historic Carpenter Theatre. This grand theatre has nearly 1,800 comfortable, spacious seats, state-of-the-art acoustics and brilliant lighting, including new fibre optics that enhance the ceiling’s sparkling stars. 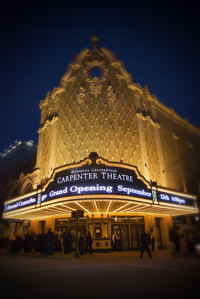 This year will mark the Carpenter Theatre’s 81 years of bringing entertainment to Richmond. Classes for the competition will be held at Richmond Ballet. The studios are located in downtown Richmond with convenient access to all major highways in the Richmond area and the Richmond International Airport (RIC). 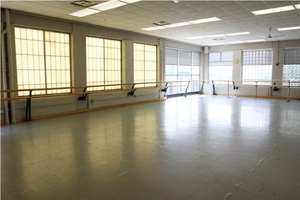 The award-winning, state-of-the-art Richmond Ballet facility features some of the finest studios on the east Coast, with floors especially designed to ensure the safety and well-being of all students. Throughout the building’s three floors, there are eight studios ranging in size from the largest, 60 x 60 square feet, to the smallest, 18 x 24 square feet. In addition to the studios, there are two kitchens and a dining area for lunch and breaks. The Crowne Plaza provides visitors with convenient access to Interstates 95 and 64, and the Richmond International Airpot (RIC). This hotel has 298 beautifully appointed rooms with complimentary high-speed Internet access. Rooms also have 37″ flat- screen high-definition TV’s, telephones with data ports, speaker phones, and voice-mail. Refrigerators and microwaves can be provided, based on availability. The hotel also has an indoor heated pool, whirlpool and sauna, and state-of-the-art fitness centre. Breakfast and dinner will be catered especially for Cecchetti USA and served in a private dining room by the Crowne Plaza Hotel. Menus will include entrées for a variety of dietary needs. Cold buffet lunches will be served daily at the Richmond Ballet. In addition, the hotel has a restaurant serving breakfast, lunch, and dinner. We are happy to announce the following scholarships to be awarded to competitors in the CICB 2017 Ballet Competition. Please follow the link below to the official website of the 2017 International Competition.